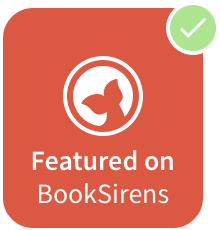 Publisher: Spencer Hill PressSummary from Goodreads:On the night seventeen-year-old Jeremy Glass winds up in the hospital with a broken leg and a blood alcohol level well above the legal limit, his secret crush, Susannah, disappears. When he begins receiving messages from her from beyond the grave, he's not sure whether they're real or if he's losing his grip on reality. Clue by clue, he gets closer to unraveling the mystery, and soon realizes he must discover the truth or become the next victim himself. “So where is he?” She cranes her neck, trying to spot Ryan in the crowd. Heart pounding, my mind hiccups through its storehouse of facts. I reposition myself to block her view. There’s no time to try texting Ryan a warning. But her voice trails off as her gaze wanders past mine, her smile crumpling like a paper bag. I follow her line of sight and I know this is it. The crowd has thinned around Ryan, enough for her to see him with his mouth smashed against Claudia’s. “Oh, man,” I gasp. I turn to comfort Susannah, but she is already gone. I stand, dithering; wanting to run after her and apologize for letting her walk into this ambush. But, no. This is something Ryan needs to take care of. I might have signed on to sweep his mess under the rug, but I’ll be damned if I’m going to clean up after him. I push through the crowd to get to him. Ryan shrugs, and without a coat, stalks out of the theater into the night. I wait a few minutes then follow. Susannah’s car is gone, and so is Ryan’s. I try to call Susannah, but she doesn’t pick up. I get in my car and focus on resisting the water bottle’s siren call, panicked glimpses of my waking nightmare crashing through the floodgates, the terrifying memories swept through with it. The rain and the torrents of water sweeping past, draining into the Gorge, forcing me to remember. To relive it. No. Not now. I need to stay clear. Since eighth grade, when I discovered that liquor dulls my terrors, I have been a master thief and spy. Just a sip to calm my shaky nerves. One tiny sip to beat back the rising waters that threaten to drown me. I can do it. I pride myself on my steely self-control. My ability to remain stone-cold sober even when the track team holds a victory keg party. They call me Jeremy the Teetotaler. Jeremy, the History Nerd who never partakes. I snap open the glove compartment. The innocuous silver bottle is shoved behind the owner’s manual, gas receipts and a collection of power bar wrappers. I raise it to my lips and gulp once, twice, three times; the cold liquid igniting as it hits my throat. It takes two, three more gulps to slow my heart to normal speed. The bottle is nearly empty. I cap it and return it to the compartment, warmth flowing to my cold fingers. I’d need to drink three times as much as that to lose focus. Swerving the deserted black roads slick with rain over ice, I follow my usual running circuit. This is familiar turf. My backyard, practically. Yes. I can do this. Susannah knows my route so I hope she’s come this way and parked, knowing I’d find her. She wants me to find her. To comfort her. I’ll tell her everything. How I’m sorry for lying to her. For letting Ryan hurt her. And maybe at last she’ll accept that it’s not Ryan she wants, but me. But there’s no sign of her. After driving and searching fruitlessly, my mind churning with outcomes, the now driving rain blurring my windshield, I can’t stand it anymore. My heart is racing. Just one last sip to fortify myself is all I need. When I round the next hairpin curve, my headlights flash on Ryan’s car parked behind Susannah’s, engines running. I squint through the rain and mist and spot them behind the guardrail, illuminated in the headlamps’ cone of light. There’s no shoulder on this side of the road, so I pull over when I can, about twenty yards past them. When I finally get out of the car I can hear her shouts over the racket the rain makes. My head is buzzing, but my thoughts are clear. In fact, they’ve never been clearer, as the roots that entangle me fall away. The damp air smells like freedom. Susannah screams, and pounds at Ryan’s chest with her fists. He shoves her hard and she falls backward. I don’t see her get up again. Raucous arguments were nothing new between Susannah and Ryan, but I’d never seen him hit her before. There’s a steep decline into the woods where they’ve chosen to have their argument and I worry Susannah could have gotten hurt. Ryan disappears now, too. What the hell are they doing? I begin to run at full tilt. I still have some distance to cover, but that’s no problem for me, even with the Absolut pumping heat through my veins. But my boot heel catches on a wet leaf then slides out from under me. I’m flying, but I land softly. Lisa has been a professor of Graphic Design at her beloved Bronx Community College where she has been tormenting and cajoling students for nearly seventeen years. She started writing eight years ago because she wanted something to illustrate, but somehow, instead ended up writing YA. Probably because her mind is too dark and twisted for small children. 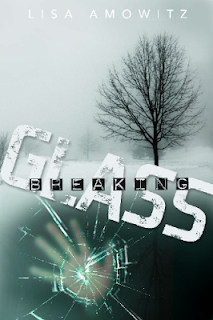 BREAKING GLASS which will be released in July, 2013 from Spencer Hill Press, is her first published work. VISION, the first of the Finder series will be released in 2014, along with an unnamed sequel in the following year. LIFE AND BETH will also be released in the near future, along with graphic novel style art. 1-original work of Breaking Glass related art created and signed by the author.